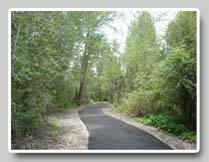 The park design has been a culminated effort of the Eureka Riverwalk Foundation and a number of outside influences as well - as many environmental requirements with the land and water issues continue to direct the plan specifications. We are currently updating the map of the Riverwalk... This map will be posted on the net soon!